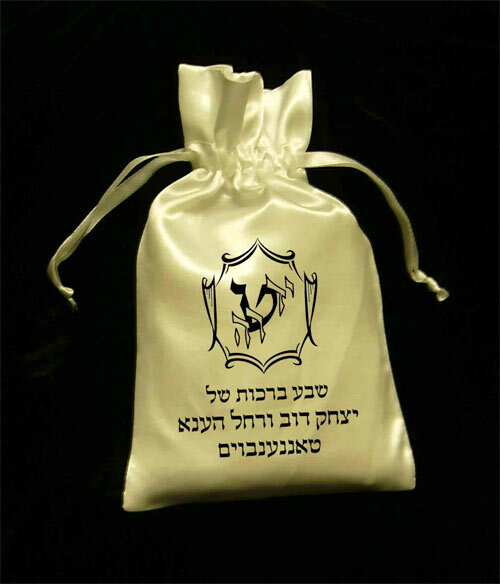 Personalize your Simcha - Ofruf, Sheva Berachos or Wedding, with the "Picture It" printed satin bags. 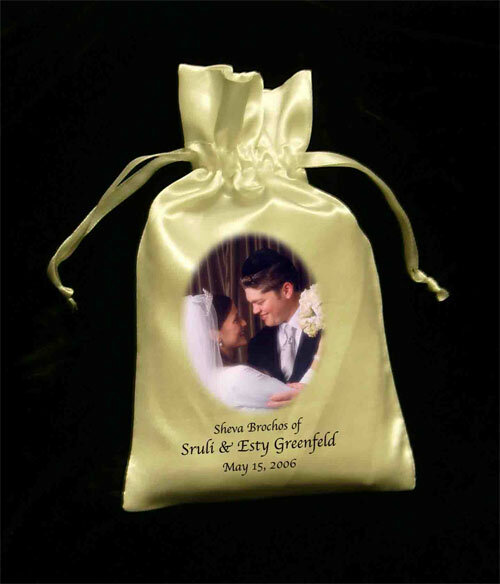 Our elegant printed bags have become the party favor of choice for many couples - a personalized memento of your once in a lifetime event. 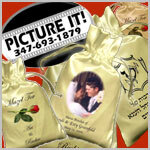 Making Sheva Berachos for the new couple, surprize them with bags printed with a picture from their wedding.